If we were to observe the price of precious metals, it will become evident that it has been progressing in an upward trend when compared to paper currency and the rates over the past few decades have gone ballistic and the driving force behind this phenomenon is due to the tangibility of gold as an investment and its ability to secure wealth or rather retain the purchasing power of your current wealth. Purchasing gold bullion however can be a complex endeavour as the market is not exactly a clear field and the truth is that it is filled with a sea of dealers who may not be honest with regards to the way that they deal and if you do not want to fall prey to those unscrupulous dealers prowling around in the market, with a little due diligence prior to making your first purchase you might just be able to secure some gold bullion for your future. 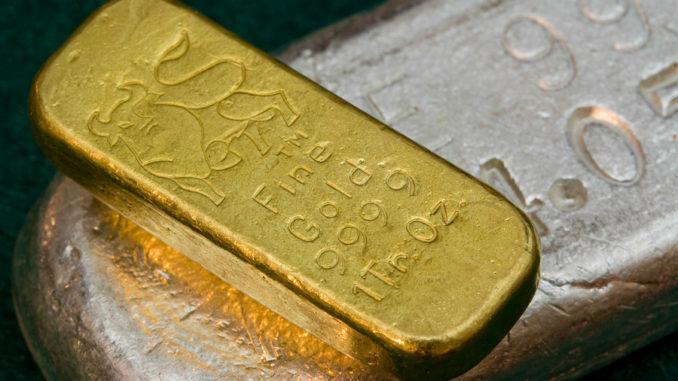 Before you even attempt to buy gold bullion in the form of coins, you should first determine how much of your income you will be able to allocate towards your ‘long term savings’ portfolio and after you have determined this factor, the next step that you should take would involve looking for an honest dealer who either has a solid track record or comes highly recommended by people. Based on the fact that the internet is filled to the rim with dealers, choosing a fair dealer will be a vital aspect of this entire venture as the wrong dealer would most certainly spell disaster for you and your future savings. The best way to approach the matter is to ask people who already have experience in buying and selling gold coins in order to get on par other with those who are trying to sell you coins in order for you not to be fumbling with the repercussions of trials and errors. In general buying gold coins depends on 3 fundamental factors which include the true or actual cost of gold per ounce based on market spot prices, the value of the gold or silver bullion in comparison to collector’s value (some coins are worth more than the content of the precious metals in the coin due to numismatic value), and the timely delivery and guarantees that can be secured for the purchase. In essence it is crucial for you to abstain from dabbling into numismatic coins until such a time that buying gold coins for gold content has become a customary practice and you are familiar with the trade, eventually however you might find yourself buying numismatic coins that can be considered as ‘good deals’ and this is only natural as you ‘get on with it’. Buying and selling numismatic coins is a totally different ball game altogether as knowledge of these coins is critical in making the right choice. Another precautionary measure that should be taken into consideration at this point is to be aware of fake or counterfeit numismatic coins that has been flooding the market (most of which comes from China), to counter this having an experienced dealer backing you up should be sufficient enough to avoid being duped into purchasing such coins.